THE WINNERS OF last Friday’s Euromillions jackpot of €28,975,630 claimed their winnings today. The syndicate, from the west of Ireland, opted not to go public with the win. The winning ticket was bought from Umesh Kumar’s Garryduff XL Store on Pound Road in Castlebar last Friday 6 July. A spokesperson for the syndicate said that the win was a “huge shock” but they are all “thrilled”. The group found out on Saturday, when one of the members checked the numbers. The news quickly spread to the other members of the group. “It has been a rollercoaster week,” the spokesperson said, “with lots of butterflies in our stomachs and lots of different emotions. But we are keeping level heads and we will try to take it all in and we will give it time before we decide what to do with our winnings. 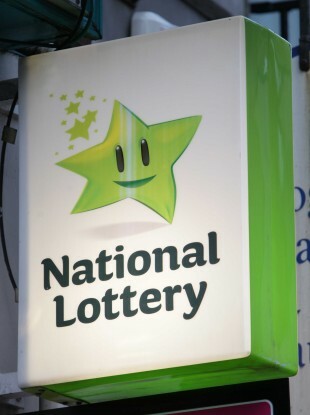 The syndicate has scooped the 11th Euromillions jackpot to be won in Ireland since 2004. It is also the second time a winning Euromillions ticket was bought in Castlebar. National Lottery chief executive Dermot Griffin said: “It is important these winners take the time and space to let the news sink in. This is an incredible amount of money to win, and we have recommended that the winners get independent financial and legal advice. Email “'This'll certainly make life easier': West of Ireland syndicate claims €29 million jackpot”. Feedback on “'This'll certainly make life easier': West of Ireland syndicate claims €29 million jackpot”.